thanks for choosing Punto Netto. Today I’m speaking you about the auto-email service that our web system Qua.Sy.Mod. can offer you for the up to date of data sorting. When you give us a sorting activity, we open a yard on Qua.Sy.Mod. that plans the daily sending of an auto-email with an excel file containing data sorting up to date. You can ask us to increase the frequency of sending for more times at day, and at the time that you prefer: we will be a pleasure help you. Please remind that Qua.Sy.Mod. send you an auto-email only if there are new information: so if you do not receive a new auto-email at the time chosen, the last e-mail received is the more up to date. Ok, now I’m explaining you in detail the auto-email structure. 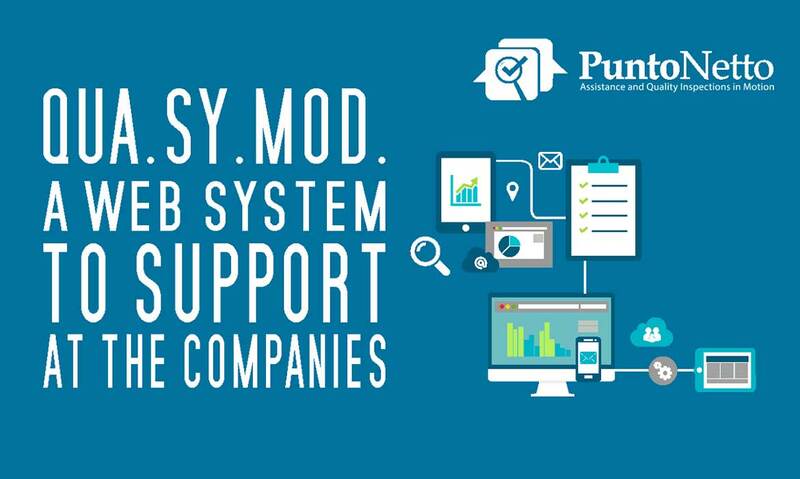 You will receive the auto-email from address SMO-QuaSyMod@puntonetto.it: it’s a sure address so you can authorize it without troubles. In the subject and in the body of e-mail you read only : the customer name, the part n# and the yard number. Very important is the excel file, in which you will find all data sorting up to date. The file is compatible with all excel version and all spreadsheet like as LibreOfficeCalc. When you open the file you could receive a protect view message, you have to enable the page to read the right calculation. For yards with more than one part number, you find mores spreadsheets. One for each part number. Ok, clarify the first points, I’m explaining you in details all information that you will read on excel file. At the top you see the general information about the activity like as : supplier name, part number, the claim number (assigned by the plant) and the date of opening and closing yard. Just below there is the chart with checking results day per day. the number of these columns is the same of defects specified on the check list. When we find a defect, for that day and batch, the cell becomes red. Attention, inside the cells are counted the defects and no the pcs! 2. Recheck on OK pcs : it is a double check on Ok pcs at the first control because, for example, has been found a new defect or has been changed the tolerance. 3. Recheck on NOK pcs : it is a double check on NOk pcs at the first control because, for example, has been removed a defect or has been changed the tolerance. Now you can read the results without troubles. The quantity column shows the parts checked for that day, that batch, that type of control. The final parts OK shows the Ok parts (parts checked manes nok parts), attention please if we did the control “Recheck OK” and found NOK parts we will found a negative value (in this case you have to take these Nok parts out from OK column). The final parts NOK shows the NOk parts (parts checked manes ok parts), attention please if we did the control “Recheck NOK” and found OK parts we will found a negative value (in this case you have to take out these OK parts out from NOK column). We know this required your attention but we are supplying you a whole chart. The last two columns shows: the site where we worked (warehouse, plant) and the Operator mark. And the percentage on all defects that is the ratio between the percentage of one defect on the others defects. At the end if the sorting activity allows a rework activity, on the spreadsheet will be there an additional chart: called “Rework”. It is a simply chart: from the left you can read : the day of reworking, the parts reworked, and the Ok and NOk parts after reworking. Good, I think now you can read the excel file easily if you have questions feel free to contact me: will be a pleasure to help you. Thanks for your attention and please follows us on Punto Netto web site and on social channels , to discover all news for our customers.